After 12 months of development since I created the initial Little Ted Stories for Eddison we are very excited to reveal the first images of our book and bear mock-up! Official Little Ted complete with his own UV protective clothing (mock up – subject to design `finishing`), and Little Ted – Book 1 Front Cover! And here is a little bit about how we got here! Since Eddison`s first XP multi-disciplinary clinic in 2012 we looked for ways to help educate Eddison in understanding his condition, and we immediately looked for age appropriate reading that might help us find the words to explain this. Unfortunately we found nothing that really helped, and so I (Eddison`s Mum) started writing his own Little Ted story to help us introduce the concepts to him. Eddison loved this initial story, and really engaged with it so before long I started thinking of further additions to this and a small series of `Little Ted` stories emerged. Following positive feedback from the UK National XP Clinic at St Thomas`s Hospital, London we (Teddington Trust) have set ourselves a goal to provide a copy free of charge to all children (aged 0-12 years) within our reach around the world affected by XP. We saw this as something for parents to use as part of their own toolkit in educating young XP patients and their siblings. These can also be used for peer education in schools and nurseries. 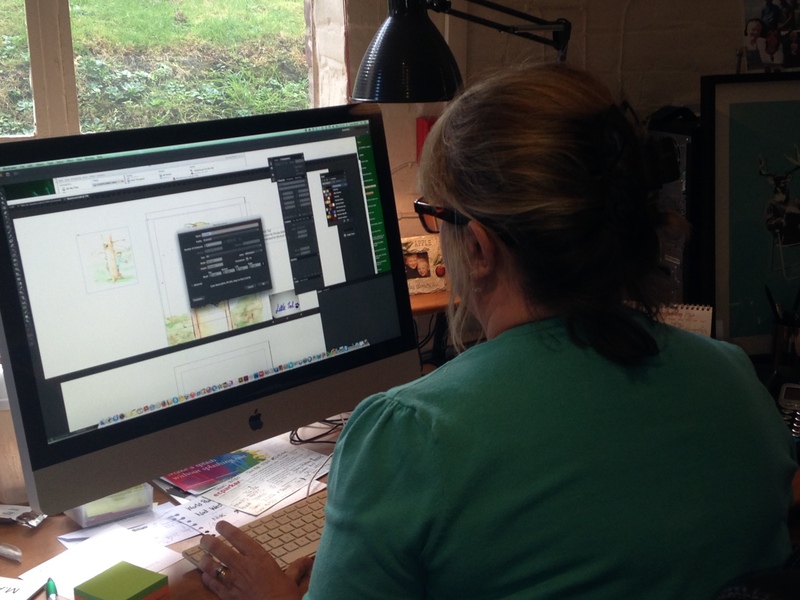 We found a local (Kent based) Illustrator, Michael Howdon who we commissioned to bring the Little Ted stories (currently 6 titles) to life, and we engaged with Canterbury based printing house, Parkers Design & Print, who specialise in short run book titles. 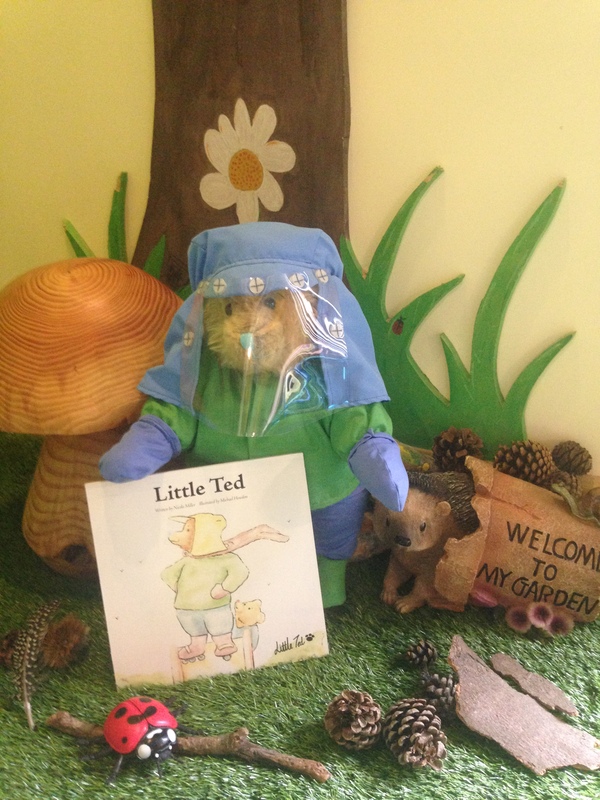 After ongoing discussions with the Clinical team at St Thomas Hospital, London it was agreed that a physical Little Ted character for the children to engage with as an extension of the book series would provide a highly valuable learning tool to teach children to understand the importance of their physical UV protective measures. We set about sourcing a UK manufacturer who could help us realise our vision of a custom made Little Ted bear. 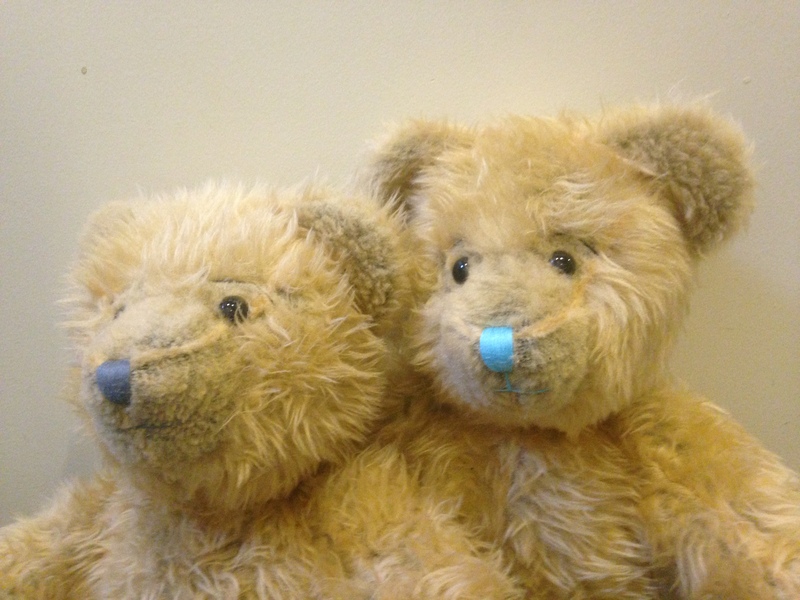 It wasn’t long before we had enlisted the help of Canterbury Bears who Teddington Trust has commissioned to develop and manufacture Little Ted. Our vision is to provide free of charge to every XP family with a child aged 0-12 years (made known to us) a complete set of the Little Ted Books and a UV reactive Little Ted educational bear. Our long awaited Little Ted Book 1 Front Cover! Ready for dispatch, along with Book 2 early 2015! The Little Ted bear is a custom, handmade bear of the finest materials built to play and engage with providing not only an educational resource for children with XP but also a sense of `someone like me` that these rare and often isolated children can identify with. A bear that wears the same hat and clothing as them, and to enforce the importance to them of protection of their skin from daylight and all sources of UV, this Little Ted bear will have a very special feature. He will have a UV reactive indicator integrated into his design which allows the children to see when he is protected and when he isn’t. The book series are currently with Parkers Design & Print who are carrying out the pre-production of the book, and our Little Ted has been developed and mocked up, and subject to a few final clothing tweaks is ready to go into production. What next….our next step was to find a way of continuing to fund this international project! This is an ambitious, international project and so we have set about achieving our goal in many ways. Funding to date has been through the sale of the Friends of Teddington – Bake Make Do book we created and sell online http://www.daisyelephant.co.uk/#!aprons/c4dh. So far in excess of 300 copies of this book have been printed and with special guest entries from Children`s Author Julia Donaldson and Celebrity Chef Nick Nairn it has become a popular book, and all profit from its sale goes directly toward the Little Ted Project. We also have an ongoing RAG BAG scheme whereby we collect unwanted textiles for recycling which generates funds for the Trust and this project. Most recently we are hosting two Starlight Stomp events; one in Kent last Sunday and one in Aberdeenshire on 23rd November. These are an after dark sponsored walking story (based on a Little Ted story written for the event) for children 0-10 years old. We have had a staggering response and have a wonderful 120 children registered to take part over the two events. A further way to fund this project is through Corporate or Personal Sponsorship. A `Sponsor a Bear` scheme which will be launched in the national press imminently. This will offer parties an opportunity to sponsor a bear for a child with XP so this child receive their own Little Ted Books & Bear. Corporate and personal sponsors will be acknowledged to the recipient and via our facebook page and press. Our initial aim is to be able to fund 300 complete sets of books and bears, including dispatch around the world. The cost per set (1 x bear and 1 x set of books) is £85.00 per child. We will be ready to start dispatching bears and books in January 2015. Fundraising to date has secured funds to manufacture and distribute over 50 of the 300 initial Little Ted packs required which leaves us with a short fall of around £20,000 which we continue to work towards as a rolling programme. We will continue with all of our current fundraising initiatives and we would love to hear from any persons or organisations who would like to support this project and help bring Little Ted to the fantastically tolerate and vulnerable children of the world who face every minute of every day dealing with life in the shadows as they face the challenge of staying out of the shade. 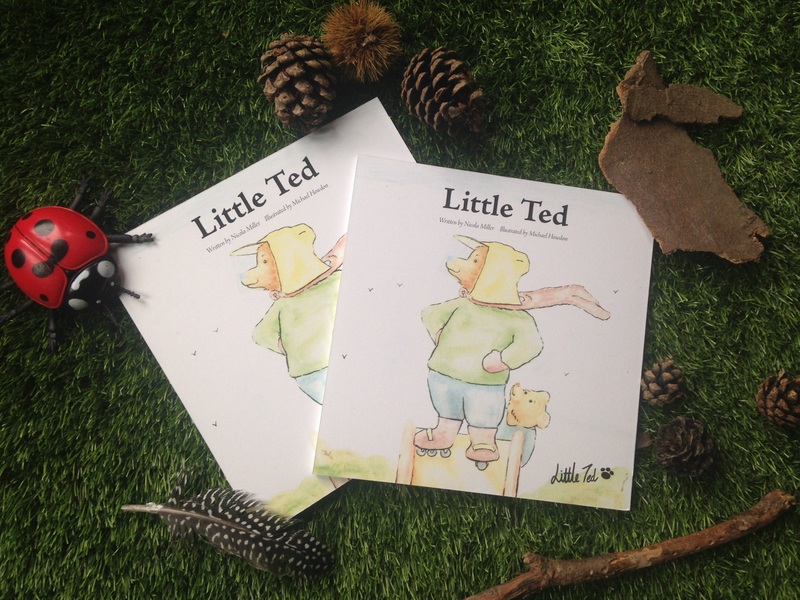 Contact us by email on support@teddingtontrust.com to enquire about getting a copy of the Little Ted series or to get involved in funding this project. “We are delighted to be working with the Teddington Trust on this exciting and valuable project. 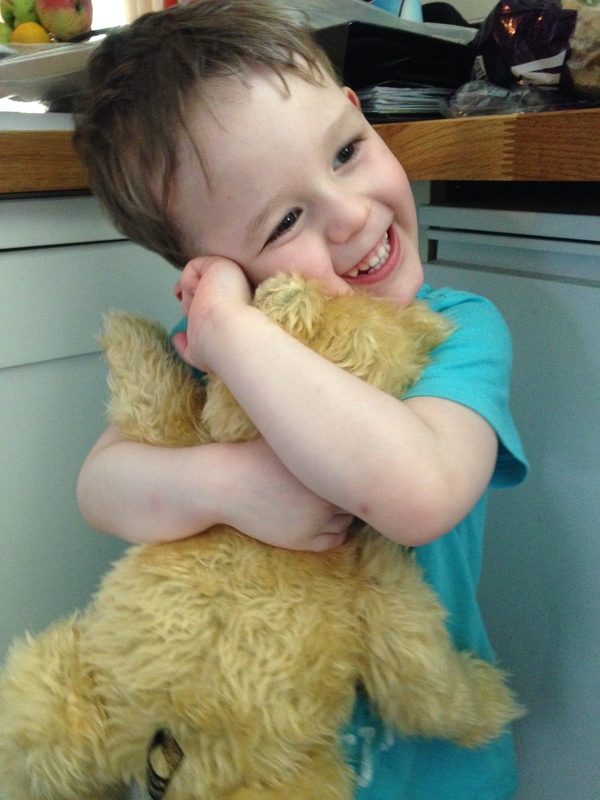 Each Little Ted bear will be individually handmade and comes from our family to yours”. And the final word goes to my Little Ted – Eddison, and I think the pleasure on his face says it all! We are thrilled to announce that Teddington Trust c/o the UK National XP Service at St John`s Dermatology, Guy’s and St Thomas have secured a Grant for £2,016 from Guy’s & St Thomas’ Charity for the funding of 26 Little Ted bears to be manufactured for and distributed to children with XP within the UK. This Grant acknowledges the importance of this Little Ted Project as a valuable resource in the future education of young XP patients and we extend our sincere thanks to Guy’s & St Thomas’ Charity for their support on this Project. There are many people we have found inspiration from in terms of physical achievement and proving just what the human body is capable of. I think of explorer Ranulph Fiennes for one, being the first to reach both poles, successfully scaling Everest and running an epic 7 marathons around the world in just 7 days to name a few of his achievements! We saw Comedian Eddie Izzard complete an unbelievable 43 marathons in 51 days, and more recently fellow Comedian John Bishop who cycled, rowed and ran 290 miles in 5 days. And so, in this spirit of adventure and expedition Eddison and Raife are about to embark on their own record breaking challenge! 2 Starlight Stomps in just 7 days at opposing ends of the country! Yes, you read that right! Fresh from completing their first planned Starlight Stomp in Kingsnorth, Kent on Sunday 16th November they will recharge, pack up their glow sticks (and no doubt assorted cuddly toys) and travel the 600 miles to Scotland for the most fleeting of visit where they will once again don their wellington boots and join in with cousins Douglas, Grace and Iris and the children of Aberdeenshire in Starlight Stomp – Scotland on Sunday 23rd November. We would also like to give a big shout out to Alex Webb (aged 20) who like Eddison has XP and will be part of the BBC One Show Rickshaw Team this year, who will be cycling 450 miles in 8 days in aid of Children in Need. You can find out more about his own inspirational journey this month at the following link.